In the last decade, bioimaging and therapy based on near-infrared (NIR) nanomaterials have played an important role in biotechnology due to their intrinsic advantages when compared with the traditional imaging probe and medicine. NIR nanomaterials allow deeper penetration depth, low detection threshold concentration and better targeted performance. This book systematically summarises the recent progress in the fabrication and application of NIR nanomaterials for biomedical imaging and therapy, and discusses the advantages, challenges and opportunities available. 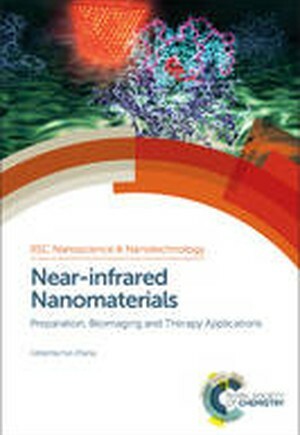 Near-infrared Nanomaterials contains achapter highlighting the outlook of these materials, detailing novel ideas for the further application of NIR nanomaterials in bioimaging and medicine. Written by leading experts working in the field, this title will have broad appeal to those working in chemistry, materials science, nanotechnology, biology, bioengineering, biomedical science and biophysics.